This service manual describes basic functions, theory of electrical and mechanical operations, maintenance and repair procedures of Stylus Color 980. The instructions and procedures included herein are intended for the experienced repair technicians, and attention should be given to the precautions on the preceding page. 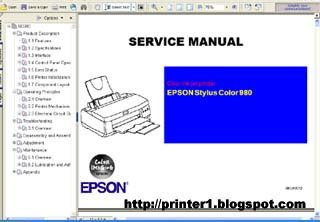 0 Response to "EPSON STYLUS COLOR 980 PRINTER SERVICE MANUAL"